Adithya is a Grade 9 student at the University of Toronto Schools, Toronto, Canada. 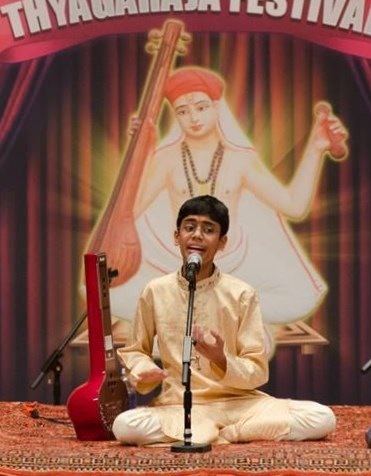 Adithya started learning Carnatic music in 2005, under the tutelage of Smt. Sandhya Srivatsan in Toronto, Canada. Adithya also learnt from Smt. Subhashree Ramachandran, daughter of Shri. Trichur V Ramachandran and Smt. Charumathi Ramachandran. He is now undergoing training under the tutelage of Sangeetha Kalanidhi Madurai Shri. T. N Seshagopalan and Smt. Rajarajeswari Bhat based in Texas, USA. Apart from Carnatic Music, Adithya’s passion is in debating, learning Sanskrit and playing Volleyball.